This entry was posted in Uncategorized and tagged Bunnahabhain, Whiskey, Whisky. Bookmark the permalink. Thanks Mark. I stand corrected: first whisky movie in living memory. 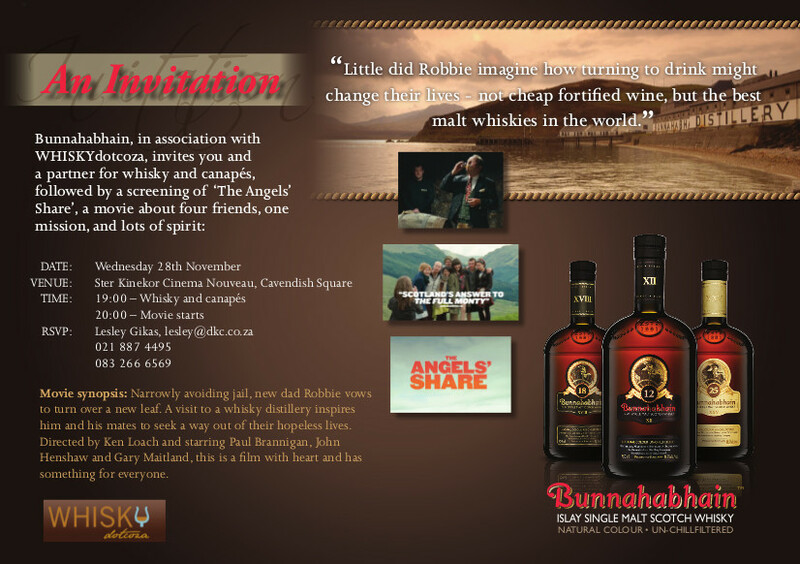 Congratulations to the winners of our whisky movie competition. See you at South Africa’s first screening of The Angel’s Share tonight.